The EHF has the sad duty to report the death of Kjartan Steinbach from Iceland. He was an EHF delegate between 1994 and 2012 and officiated more than 140 club and national team matches for the federation. He also served for the International Handball Federation as chairman of the IHF Playing Rules and Referee Commission. In 2004, the IHF marked his contribution by awarding him the title of honorary member. 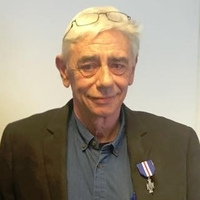 Kjartan was also a loyal servant to the game in Iceland, serving as a board member of the federation and chairman of the refereeing committee for many years. His efforts were recognised back at home, where he received the highest honours both from the Icelandic Handball Federation and the National Olympic and Sports Association of Iceland. The EHF would like to join Kjartan’s many handball friends and colleagues around the world in sending deepest condolences to his wife, family and the whole of the Icelandic handball family at this difficult time.